Equipment downtime is expensive and inconvenient. 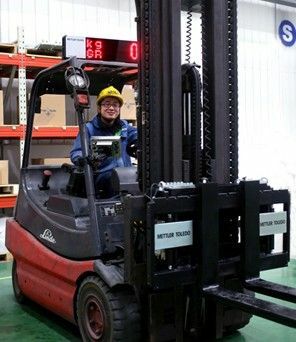 When choosing a forklift scale, look for features that reduce the risk of failure. Have the right service agreement in place so that support, when needed, is always close to hand. Forklift scales should be rugged, robust and built to last. They are operated in environments where they must withstand knocks and bumps, heavy vibrations and tough, changing conditions. When evaluating a forklift scale, the first thing to look at is how it is going to handle these tough conditions. The design should be rugged and fit for heavy use. The new VFS120 has a heavy-duty scale carriage designed to stand the test of time. It has a unique three-point suspension, which maintains its calibration for up to 12 months. With the VFS120, you can keep maintenance costs down and uptime high. Developing a scheduled maintenance program with a trained technician while your forklift scale is still new can keep it performing optimally and also increase its lifespan. Consider a tailor-made service agreement to ensure the continued high performance of your scale.